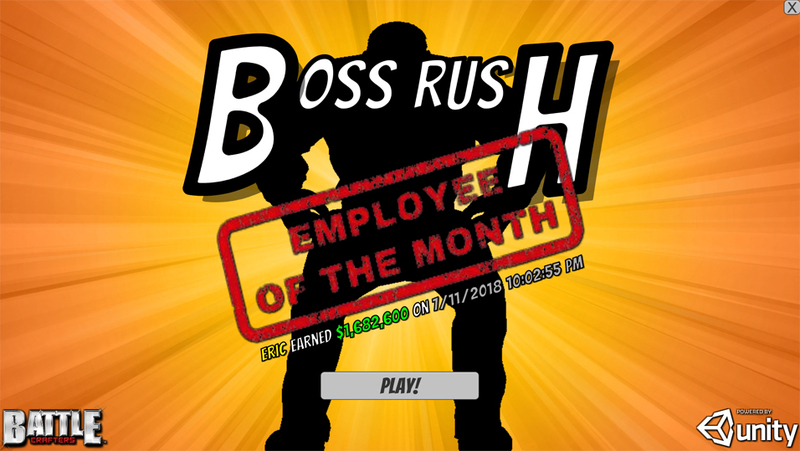 Rush through the office building busting things up to get high score and be Employee of the Month (displayed on front screen)! 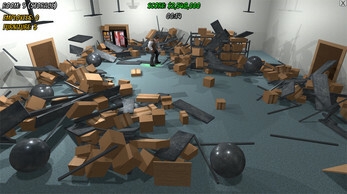 Physics based game using Unity3D. *NOTE* It hasn't been tested on Linux or Mac. The browser version DOES NOT track Employee of the Month (high score). Use WinRAR to unzip the game into a folder then run BossRushEotM.exe. I just finished playing your game! I feel like I understand what it means to be a Boss now! Thank you for that! The powers were fun, sound effects felt like they belonged, and the paroling units made the office come alive. Each room feels like a room you would find in an office! Super great! The only thing that could use some improvement is the controls. I didn't feel like I could get the Boss to go where I wanted to when I got to the far corners of the room. 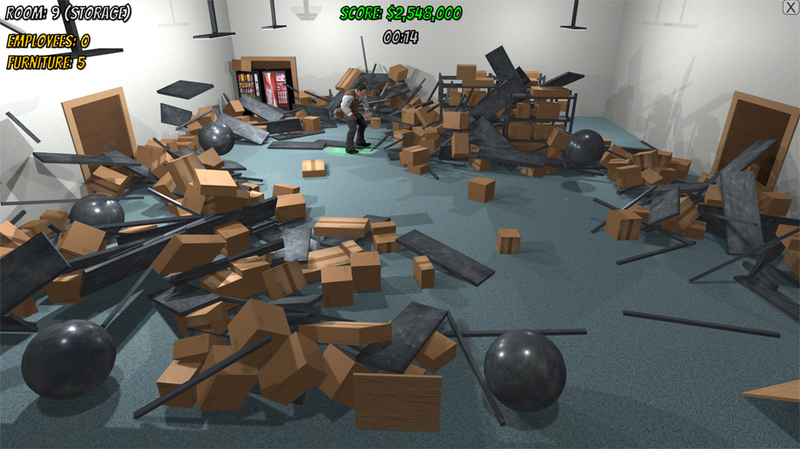 Not being able to control him accurately was mildly frustrating, but it could also be the debris in the room that was making it difficult. If you could switch the controls to the WSAD or arrow keys, I think that would help a lot. Good job! You put so much work into this game, and it shows!